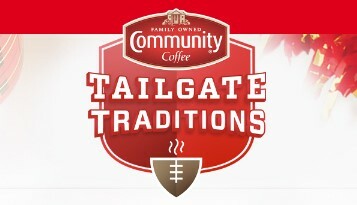 Community Coffee is celebrating Football tailgate traditions by giving you a chance to play for one of 200 great instant win prizes or even a trip to the Super Bowl! Grand Prize “Trip to Minneapolis for the Big Game” – Maximum of (1) Winner The Sweepstakes Grand Prize is a trip for Sweepstakes Grand Prize winner and one (1) guest to Minneapolis, MN from February 3, 2018 – February 5, 2018, with a maximum retail value not to exceed $7,500.00. This Sweepstakes ends on 01/31/18 and you can ENTER DAILY to win.